BAA Training, one of the biggest independent aviation training centres in Europe, is delighted to announce the successful graduation of the first Wizz Air cadets from the tailor-made training program in cooperation with Wizz Air. After two years of comprehensive training, 13 graduates have reached the thrilling finish line to obtain an Integrated Airline Transport Licence (ATPL) and have their lifelong dreams come true. Now the cadets are to proceed with further training to complete all the stages of training to take up a First Officer’s seat in the Wizz Air Airbus A320 series aircraft. „As the leading low-cost airline in the Central and Eastern European region with high growth potential and plan for the future, it is our greatest appreciation to welcome the trainees of the tailor-made program at BAA Training for our operations. BAA Training has a proven track of professionalism, training quality and safety culture which is also presented in their Cadet Program, making it a leading offer to our operations. It is a great pleasure to be the first airline to start such a program with BAA Training and to feel that we are a valued customer. We endeavour to further develop our collaboration and overview of the Wizz Air Cadet Program at BAA Training,” comments Vivien Loboda, Recruitment Planning Manager at Wizz Air. Wizz Air Cadet program was the first program of this type launched at BAA Training at the end of 2016. Correspondingly, for BAA Training this graduation is an impressive record of several key achievements. “BAA Training is honoured to congratulate the first group of graduates prepared in a close collaboration with Wizz Air. We contributed for the cadets‘ dream of becoming a pilot, secured the airline with a number of professional future employees, and, finally, to further grow our expertise in the aviation training field. Qualified pilots, trained in accordance with the highest standards, who are able to ensure safe flights, is our main objective. 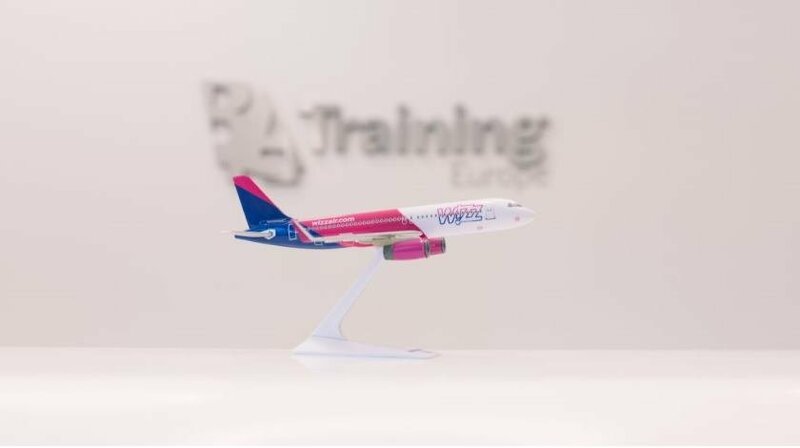 Thus, BAA Training, together with Wizz Air actively involved in the training process, is looking forward to celebrating upcoming graduations of cadets”, comments Egle Vaitkeviciute, CEO of BAA Training. The joy of graduation is shared not only by the companies, but, primarily, by the graduates ready to meet further challenges. Catalina Bengeanu, who started her career at Wizz Air as a cabin crew member now is a satisfied graduate of the Wizz Air Cadet program. “I have worked for Wizz Air before as a cabin crew, it was the very first corporation to work for. I felt like being at home, I grew up together with this airline”, says Catalina. Currently, BAA Training offers seven Cadet programs. Correspondingly, to meet the growing demand for these programs, the academy has recently invested 12M EUR into 2 brand new full flight simulators and 1,2M EUR into Ab Initio training equipment. Moreover, BAA Training is about to deliver an all-year-round training with a new flight base in Lleida-Alguaire International Airport in Spain.